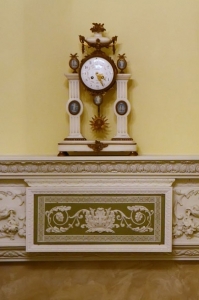 The Birmingham Museum of Art received the Beeson Wedgwood Collection, one of the largest private collections of 18th century Wedgwood in the World. 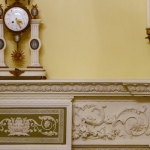 The Beeson Family was honored through a commissioned mantelpiece through the Legacy of Leadership campaign. 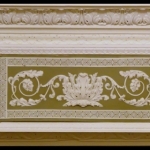 This mantelpiece includes Wedgwood plaques and is housed in the Frieze Room in the Beeson Wedgwood Gallery at the Birmingham Museum of Art. The Beeson’s were grand collectors of Wedgwood and it is only fitting that they were honored with a Wedgwood piece surrounded by their own collection previously donated to the Museum. 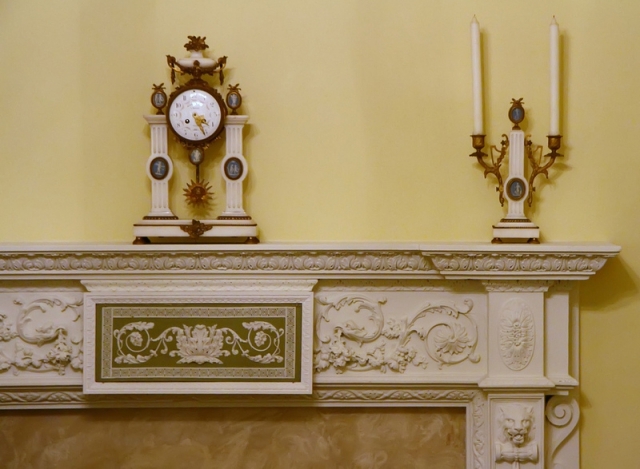 The gist that was placed in the mantle is a Wedgwood green jasper dip mantle plaque, English, late 18th century, with a rectangular applied white relief of scrolling acanthus leaves within a banded key border, impressed Wedgwood mark, from the Oster Collection. 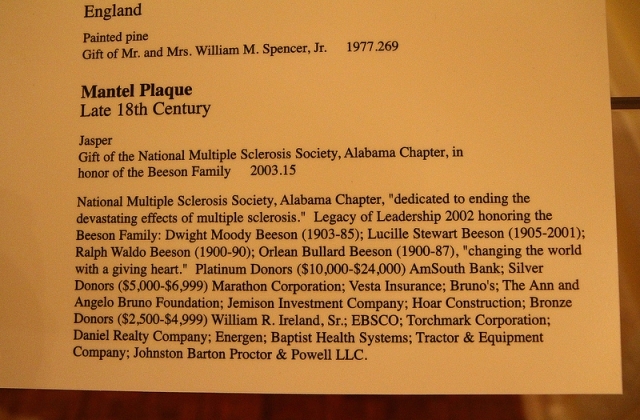 Dwight M. & Lucille S. Beeson and Ralph W. & Orlean B. Beeson were philanthropists and donors to many organizations in Birmingham. Lucille Stewart Beeson, who died in 2001, just into her 96th year, was the last of a remarkable family foursome that forever changed the Birmingham community. 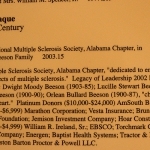 The Beeson brothers, natives of Mississippi, and their wives set a high mark for philanthropy in Birmingham and in Alabama. They wisely grew their investment in Liberty National Life Insurance Company (now Torchmark Corporation) and thoughtfully gave much of it back to Birmingham, their adopted hometown. They lived modestly, saved carefully and invested wisely. Investments made in the '30s and '40s compounded over the years, accumulating a fortune for each brother. They used only small proportions for themselves and held most for ultimate charitable purposes. The Beesons were some of Birmingham’s top philanthropists, their many contributions as citizens and as a family enriched this community through their unselfish and unwavering civic pride. The Beesons bequeathed $100 million to Samford University and many other groups, organizations and causes have benefited from Beeson generosity. Asbury Seminary, Maryville College and Warren Wilson College were beneficiaries, as were Alabama Boys Ranches, and Independent Presbyterian Church. In addition to the magnificent 18th Century Wedgwood collection, given to the Birmingham Museum of Art, Dwight and Lucille Beeson left more than $160 million in trust with the Community Foundation of Birmingham to meet human needs through the Salvation Army, Jimmie Hale Mission, UCP, Alabama Sheriff’s Boys and Girls Ranches, Baptist Health Foundation, Canterbury United Methodist Church, Gateway, the Birmingham Humane Society, Christian Service Mission, Charity Fund of the Junior League of Birmingham, The Birmingham Zoo, and the Birmingham Botanical Gardens.